Obituary for Shirley Joan (Stire) Bunnell | Raymond Wood Funeral Home P.A. 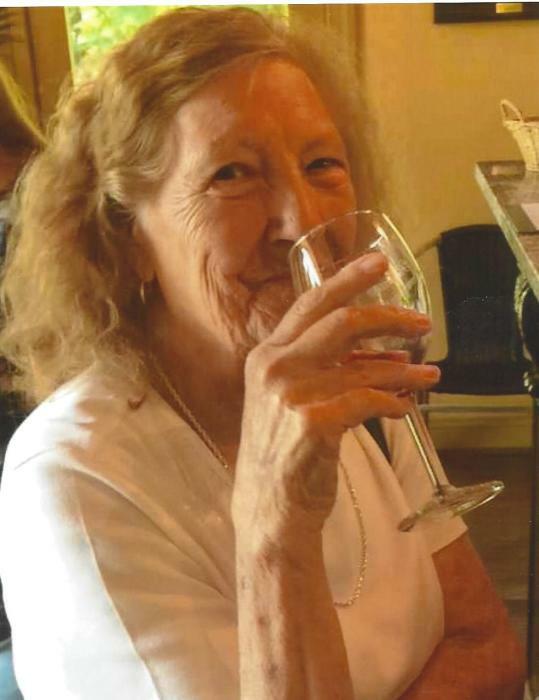 Shirely Joan Bunnell, 81, of Lusby, MD (formerly of Lothian, MD) passed away on July 30, 2018 in Prince Frederick, MD. Shirley was born on July 30, 1937 in Lumberport, West Virginia to the late Donald T. and Delia M. Lindsey Stire. She married Charles Kenneth Bunnell. Shirley was know to many as a server at Steak In a Sack in Marlow Heights, where she worked for 38 years before retiring. Shirley is survived by her sons, Ronnie Riley of Lusby, MD, Kenny (Doreen) Bunnell of Paw Paw, WV, John (Mary) Bunnell of Lusby, Mike (Erin) Bunnell of Lusby and Brian (Stephanie) Bunnell also of Lusby; daughters, Debbie (Gary) Arrin of Chesapeake Beach, MD, and Pam (John) Stanley of Shinnston, WV; brothers, Tom (Norma) Stire, Kenny (Carol) Stire and John Stire; sisters, Betty Gore, Lois (Dave) Markley and Lecia Leasure; 17 grandchildren and 9 great-grandchildren. She was preceded in death by her husband, Charles; sisters, Mary Ellen Stire and Stella Wright and brothers, Charles, Robert, Donald and Frank Stire. Memorial contributions may be made to St Jude Children's Hospital, 501 St. Jude Place, Memphis, TN 38105 or online at www.stjude.org. Services will be held at Perine Funeral Home in Shinnston, West Virginia, 304-592-5925.